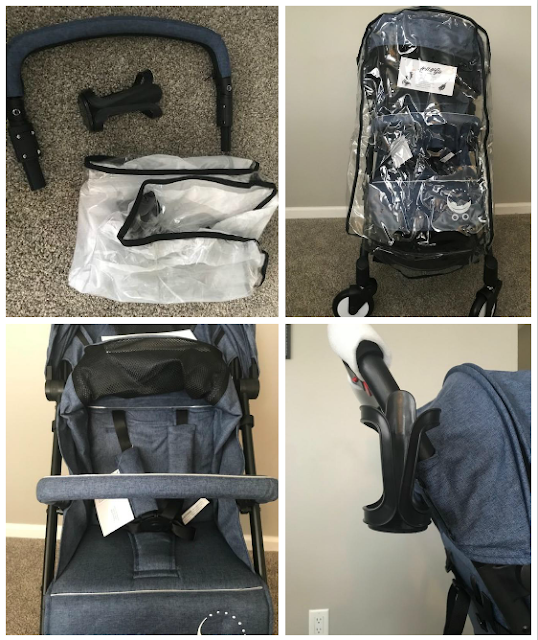 Mommy's Favorite Things: BabyRoues Roll & Go Stroller GIVEAWAY! 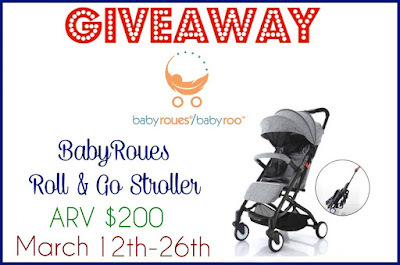 BabyRoues Roll & Go Stroller GIVEAWAY! With my youngest now being 4, strollers aren't thought of much anymore. But I still like to use a good lightweight stroller if we go somewhere that requires more walking. Like a paved trail or the zoo for instance. I end up walking miles and I know my little guy can't handle that just yet. So when I was asked to check out the new BabyRoues Roll & Go, I jumped at it because our stroller is looking pretty messed up. We received the stroller in the Dark Blue/Black Frame color and it's absolutely stunning! 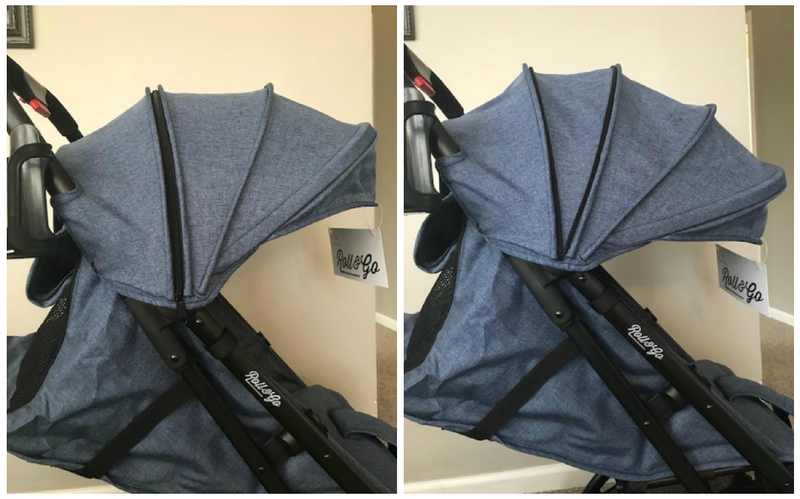 It folds up super easy, only takes 1 hand to fold AND unfold the stroller and it's perfect for being on-the-go. It also fits in its own bag and goes on like a backpack, this is AWESOME for the airport! 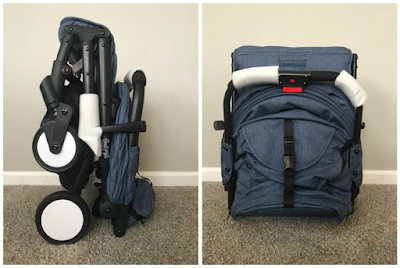 The BabyRoues (Baby Roo) Roll & Go is so perfect for everyday use AND for traveling. 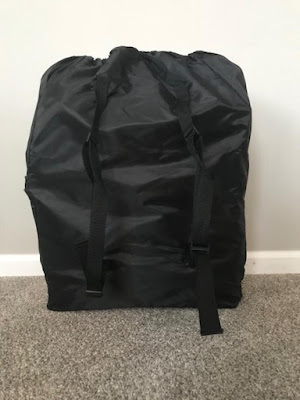 It's lightweight (15 pounds), folds up really easily is compact. It also comes with accessories. a front bumper, adult cup holder and rain cover. 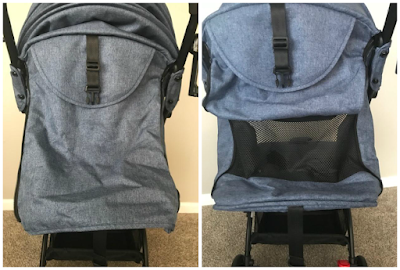 Each item is easily installed and comes off just as easily, so you can make the stroller perfectly YOU! 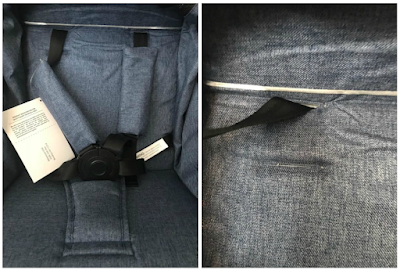 The seat is really easy to adjust by just pulling the toggle on the back of the stroller and laying the seat down. It can be up fully, laid down fully or somewhere in between, very customizable. There is also venting around the top of the seat. Features a 5pt harness that has 2 height positions to grow with your child. And the canopy is extra large. It unzips for maximum covering of your child. Makes it larger so it has more protection. The BabyRoues Roll & Go is the perfect stroller for your child. It holds up to 55 pounds, but it's super lightweight frame (15 pounds) means it's super easy to maneuver and its great for traveling as well, especially through the airport. Overall: ***** for sure! 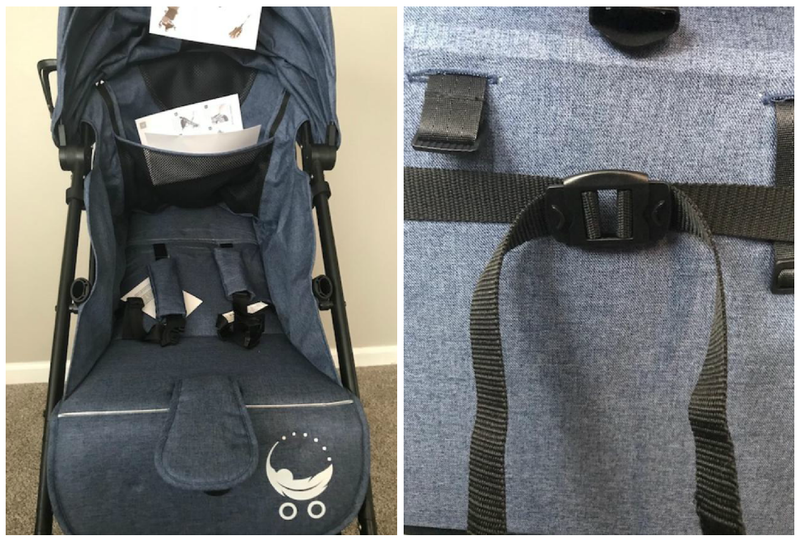 This stroller and its accessories are awesome. And we'll be using it for a while since my little man is only 37 pounds! 1 reader is going to win a BabyRoues Roll & Go stroller in the color of their choice!! I would love the black/black. Thanks so much. I love the look of the rust canopy. I would choose the black and navy blue one. I would choose light blue canapy with black frame, the stroller really is very stylish !! The one that I like is the Rust Canopy/Black Frame. I like the Rust Canopy/Black Frame. Thanks for the giveaway! I think I would choose the Tan Canopy/Black Frame. I love the rust canopy. I would probably choose the dark blue with black frame. I love the pink canopy. I have a granddaughter on the way! I'd choose Grey Canopy/Black Frame.